UNITRON’s new MEC4 inverted metallurgical microscope is designed for the examination and analysis of metallurgical samples and prepped material for the automotive, aerospace, medical device and electronics industries. The compact design of the MEC4 makes it an affordable inverted microscope with outstanding optical performance, perfect for in-line sample inspection for manufacturing, production and assembly applications where strict control of materials is required. 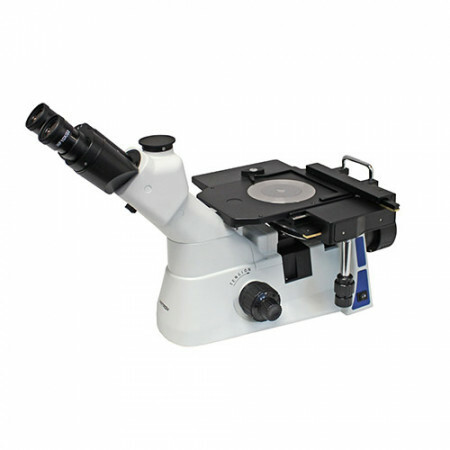 The MEC4 delivers, bright, crisp images at all magnification levels. With a wide range of c-mount adapters, the MEC4 can easily be connected to our Excelis HD or Lumenera® digital cameras for easy image processing. Designed for brightfield and simple polarization observation, the MEC4 delivers professional features at an affordable price in a compact, easy to use design.